If you’re contemplating a trip to a Disney park, you may be stressing out about the planning. How far in advance should you book? How does the FastPass work? Are restaurant reservations really necessary? A good resource for getting advice is the Disney Parks Moms Panel. The 40 panelists provide customized, free answers to questions about Disney vacations (including parks, Disney Cruise Line, Disney resorts and more). Emailed questions are answered in about a week. A member of the Disney Parks Moms Panel, Lindsey P. of Georgia, recently spoke to AP’s weekly travel podcast “Get Outta Here!” (Disney identifies panelists only by first name, first initial of last name and home state.) Here are some excerpts from the podcast episode, edited for brevity and clarity. Q: How far in advance should I book a Disney park trip? A: The sweet spot for most guests is the seven- or eight-month window. You can choose your home resort, make your hotel reservation then. When that six-month window comes around, you’ll be able to make your advance dining reservations for table service restaurants. When the 60 days before check-in window rolls around, you’ll be able to make your FastPass reservations. Q: What does the FastPass do? A: It allows guests to choose three attractions (rides) per day to book in advance. ... The FastPass queue eliminates the wait. Q: What’s the ideal number of days for a Disney World visit? A: I like to go for five “sleeps” (overnights) as my kids call it. That allows us to get in one park (per day) for the four main parks. We also like to take a resort day to explore resort amenities, offerings and activities. ... But I’ve known guests from the U.K. that will stay up to two weeks. I’ve had friends go for a short weekend and concentrate on a couple of parks. Q: What is the MagicBand? A: It’s a wonderful piece of technology worn on the wrist ... a tiny device, waterproof, that will hold all your information. It can serve as your room key, your FastPass, your tickets can be embedded in it. Q: Is there a way to predict the parks’ busiest days and times? A: I never schedule a vacation myself without checking the Undercovertourist.com crowd calendar. They have an uncanny knack to estimate a crowd level on scale of one to 10 ... at whatever park you might want to visit on any given day. You’ll see a red X by a park that expects a large crowd due to a festival or an event. Q: What are some advantages to staying at a Disney property versus off-site accommodations? A: You get the option to use extra “magic hours” ... where a park may open an hour early or stay open an hour later. Those are only available to Walt Disney World hotel guests. And I don’t necessarily ever rent a car when I visit Walt Disney World because the transportation options are fairly seamless. There’s a complimentary plush coach line back and forth to the airport. On resort property, the buses, the monorails are operating all hours of the day. Q: Is it necessary to book restaurants ahead or can you wing it? A: It depends on your family’s style. I have a friend who can only deal with table service reservations. She loves a guaranteed place to sit down with her family. My family likes to do one table service reservation a day, sometimes breakfast, sometimes dinner. We like to take lunch on the fly. If you decide not to make those table service reservations, the MyDisneyExperience mobile app lets you order food in advance with a credit card. You arrive at the restaurant, push “I’m here” and your tray is ready. ... It’s kind of like Uber Eats. Q: How do you cope when kids have a meltdown in the park? A: It happens. The four main theme parks offer baby care centers. You might say, ‘I don’t have a baby,’ but these areas offer an air-conditioned, quiet place to sit and take in a Disney cartoon ... and a store with sundries and snacks. Some of them have restrooms for potty training. It’s a place to rest, relax and recoup. You can also take Disney transportation back to your room for a nap, then come back later for fireworks or a meal. ... Also know your family’s rhythm. If your kids are early risers, hop up, get that morning meal, head to the park. If your kids are late risers at home, that means you can have a more special lunch, engage in the afternoon parades. 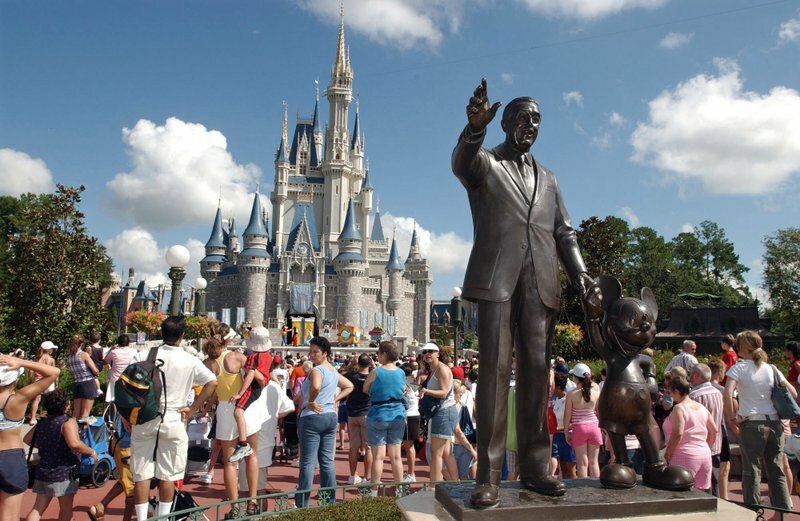 Q: What do you think about using a travel agent to book a Disney visit? A: I’ve used a travel agent myself. ... Figuring out which hotel, dining, reservations and the FastPass — a travel agent is well-versed in all those offerings.